U.S. health regulators have approved the first new type of flu drug in two decades. Xofluza has developed the Roche Group and Shionogi & Co. for people aged 12 and older. What makes the drug stand out is its ability to reduce the severity and shorten the duration of flu symptoms after just one dose. And it’s just as potent as Roche’s older flu treatment, Tamiflu, which needs to be taken twice daily for five days. The company plans to launch Xofluza within a few weeks for the price of $150 price without insurance. “This is the first new antiviral flu treatment with a novel mechanism of action approved by the FDA in nearly 20 years,” said Scott Gottlieb, commissioner of the Food and Drug Administration (FDA). The drug was tested on over 1,000 people who said their flu symptoms drastically diminished within the recommended 48 hours from taking it. Relenza inhalers and Rapivab injections also are available for treating the flu. Even with more FDA approved antiviral drugs to treat the flu, the yearly vaccine remains “the primary means of preventing and controlling flu outbreaks,” Gottlieb said. The Centers for Disease Control and Prevention (CDC) recommends people get vaccinated by the end of October. Getting the flu shot could mean the difference between life and death. Health officials estimated that 80,000 Americans died of the flu last winter, a record number in the last four decades. About 183 of the victims were children. 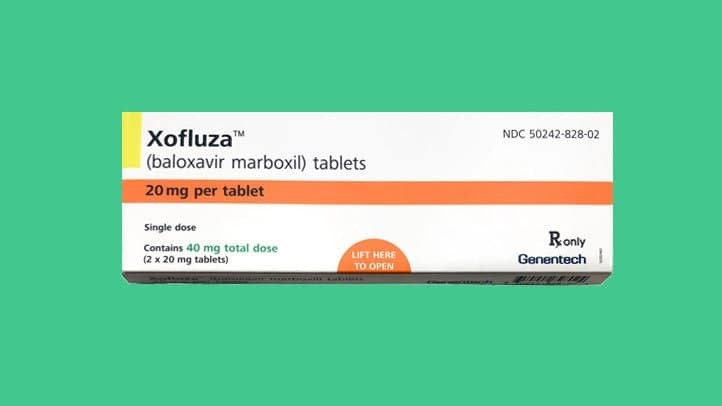 Despite the FDA approval and positive testing outcomes, some doctors are skeptical about Xofluza’s efficiency. “Resistance seems to develop fairly readily, and the drug seems not to be as effective against influenza B strains,” said William Schaffner, professor of infectious diseases at Vanderbilt University School of Medicine in Nashville. Read more about healthcare trendshere.